There’s a dearth of good shooters – third person or otherwise – on Nintendo’s little handheld. Ironfall Invasion, from little-known, but old-hat developers VD-DEV looks to address that, with varying degrees of success. It’s got a tired, clichéd narrative to kick things off. Alien Robots have invaded Earth, and you – a hulking man in an exo suit – have to shoot at all of them to push back the invasion. At face value, it’s not too dissimilar to Gears of War’s tales of locust invasion, and that’s hardly where the similarities end. 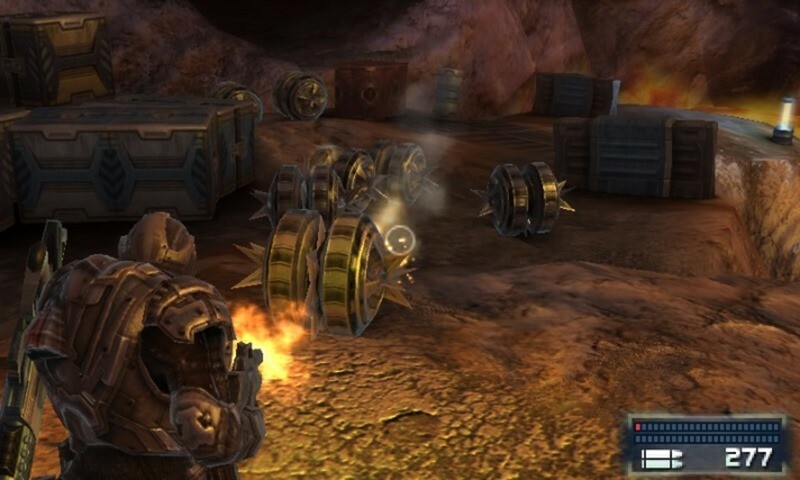 Ironfall Invasion is a cover-based shooter that has you hiding behind conveniently placed walls, desks and the like, while popping out every so often to unload a clip or two in to waves of robotic enemies. They’ll start throwing bigger and tougher robot at you, but they’re really just larger metallic bullet-sponges. Sometimes, you’ll even roadie run between bits of cover, and face off against an oversized boss. There’s even a riff on the active reload, where timing your reloads puts extra ammunition in your clip. There are 11 missions for you to go through in your campaign, each essentially just another room in which to shoot enemies before moving on to the next one. You might pick up a new gun; a grenade launcher, or a sniper rifle. Every so often you’ll encounter a little touch-based mini-game that has you attaching wires, or tuning frequencies on knobs to unlock doors, but there’s very little to the game beyond that. None of that’s helped by the poor writing, complete lack of character development and laughable voice acting; the sort of stuff that makes the original Resident Evil seem like it was acted out by esteemed professionals. 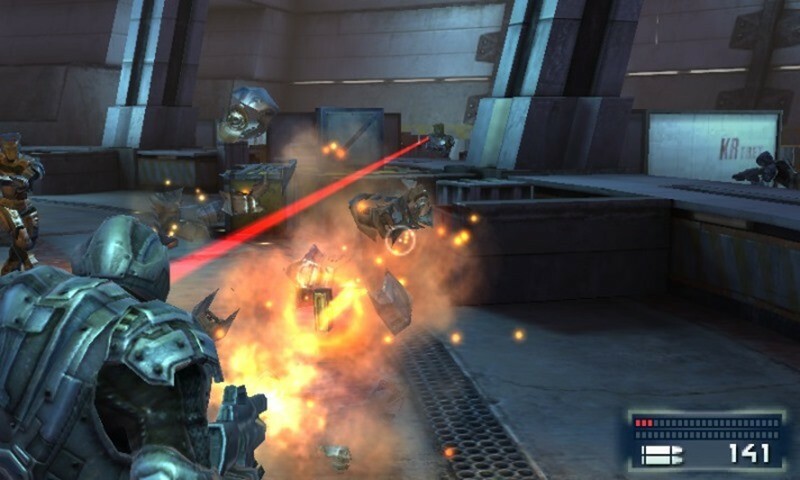 It’s a Gears of War clone then, but the sort of one you’d find made by Gameloft as a mobile game, mirroring the latest AAA detail, only with touch-based controls. On the old 3DS, you’d best play this with a circle pad pro, because the stylus controls for your crosshairs are an exercise in frustration. Playing it on the New 3DS allows you to use the built in C-stick along with the new shoulder buttons, making the game decidedly better to play. And I have to admit that, despite its faults – its principal one being that it’s entirely devoid of soul – I had a decent enough time playing through Ironfall Invasion. It’s the sort of game that you can play through, your mind almost entering a trance as you decimate robot after robot. It comes with a set of challenge modes, allowing you to increase the difficulty on a per-level basis and try them again, and packs in a competent, if not terribly exciting set of multiplayer modes that include 6 player online free-for-all and team deathmatch modes. It’s also technically impressive. The game looks rather spiffy, considering the hardware it’s running on, and actually runs at 60fps, provided you turn the 3DS effect off. Throughout my play through, I was turning the effect on-and-off, and off-and-on, trying to find which was best; the added depth, which made aiming easier, or the 60 fps which made the game smoother. I’m still undecided. We’ve talked about developers implementing tiered-pricing in games before, selling off the single and multiplayer campaigns in games separately. While VD DEV’s Ironfall Invasion actual gameplay could hardly be accused of harbouring anything resembling innovation, it’s interesting that the innovation it does possess is in its pricing. 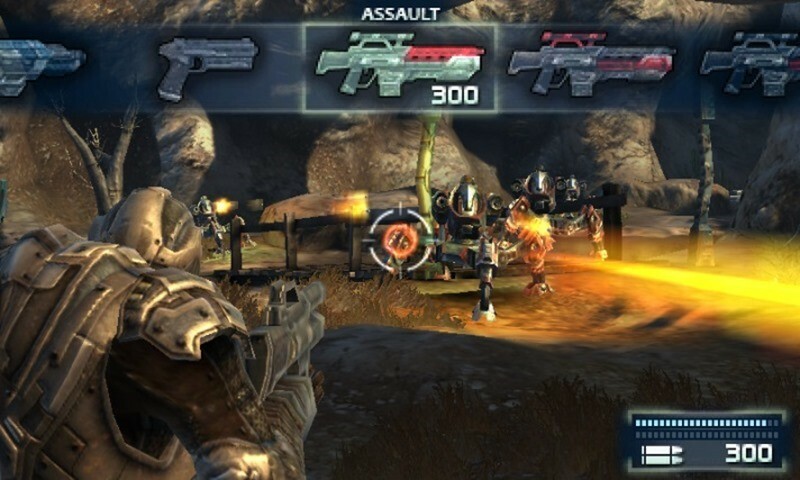 Technically free-to-play, the game contains a single player demo level, and a single multiplayer map and mode. From there, you can choose to pay R130 for the single player campaign, or double that for the whole package. It’s an interesting idea, and frankly there are worse ways to part with R130. Ironfall Invasion may fall down flat, but it’s the sort of game I’d love to see more of on the 3DS; those big, dumb action extravaganzas that ask that you leave your brain at the door. 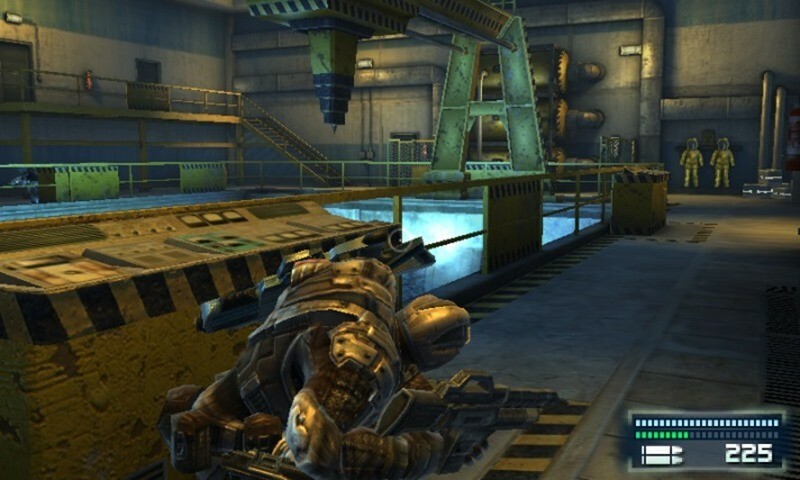 Ironfall: Invasion attempts to plug the rather vacant hole in the 3DS' shooter lineup and with its technically impressive, smooth 60fps, Gears of War-inspired gameplay it very nearly does that. Unfortunately, its campaign is hollow, cliched and ultimately boring.